OCI designs and manufactures drilling swivels in all sizes and styles for the inlet of air, water, and grout and for the control of cuttings discharge. 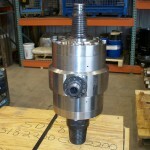 OCI can design a swivel to fit your rig and application. 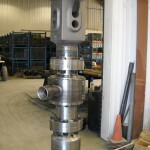 We maintain a large inventory of seals and bearings for quick replacement either in the field or at our shop. OCI designs and manufactures discharge swivels used to control cuttings for single and double head duplex drilling, percussion duplex drilling, piling rigs, and leads. Connections to the head can include flanges, threads, hexes, squares, and cardonic links. 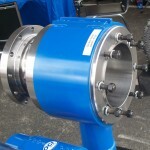 Casing connections can be threaded, flanged, j-slot, or others. Inner string connections can be threaded, hex, auger connections, or others. 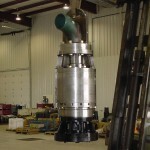 OCI will manufactures side inlet swivels for feeding air or fluids into the rotating drill string. Various applications include percussion duplex drilling, large diameter DTH hammer work, air kelly’s, grouting, and others. Connections to the rig can include flanges, threads, hexes, squares, and cardonic links. Drill string connections can be threaded, hexes, auger connections, or others. OCI supplies industry standard swivels such as 2JW, 3JW swivels and Chiksan swivels as well as parts for rebuilding. OCI can design and manufacture swivels for single, double, and triple jet grouting as well as other high pressure applications. 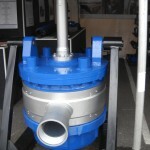 OCI can design and manufacture a swivel for special applications such as low headroom, reverse circulation, high pressure, grouting, above the head, Kelly Bars, and others that a project may require.